The Canadian economy will grow even faster than previously expected this year, according to the OECD, as strong global growth spurs investment and trade. The Paris-based Organisation for Economic Co-operation and Development (OECD) raised its growth forecast for Canada to 2.2 per cent in 2018, up from 2.1 per cent it had forecast in November. "Macroeconomic policies are gradually becoming less accommodative, but private consumption remains robust, strong employment growth is beginning to be reflected in wages, and firmer commodity prices should boost business investment," the economic think-tank said in its interim economic outlook on Tuesday. Canada's growth is expected to slow to two per cent next year, but that's also better than previous expectations, which were for 1.9 per cent as of three months ago. The Canadian economy grew by a strong three per cent last year, the OECD noted. But rising consumer debt and house prices could also pose a risk to Canadian growth, the organization said. Canada, however, should benefit from stronger demand from the U.S. as a close trading partner, it added. 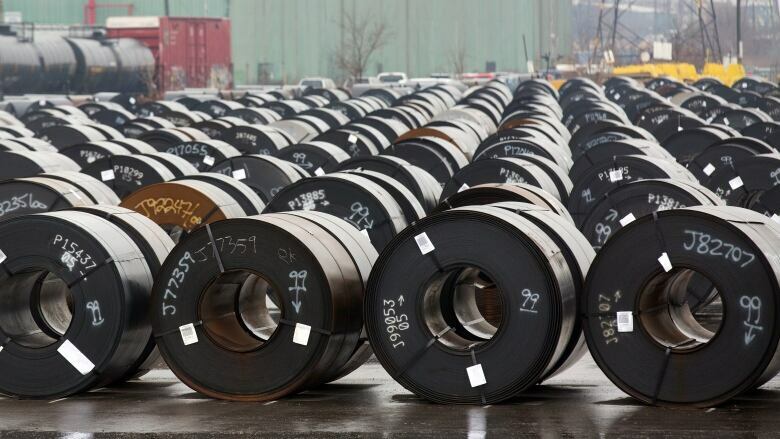 The forecast for higher growth comes just days after U.S. President Donald Trump exempted Canada from tariffs on steel and aluminum, which would have had a significant impact on the economy as the country is the biggest supplier of both metals to the U.S. But even as the OECD raised its growth forecast for the majority of its 35-member countries and global economy, it also warned about growing tensions and "new policy challenges." "Safeguarding the rules-based international trading system will help to support growth and jobs," it said. "Governments should avoid escalation and rely on global solutions to resolve excess capacity in the global steel industry." The warning comes as many countries including the European Union and Japan try to get exemptions from the U.S. on the metals tariffs amid threats of retaliatory measures against the world's largest economy. "Trade protectionism remains a key risk that would negatively affect confidence, investment and jobs," the organization said. Higher interest rates, raising debt loads and volatility in stock markets were also flagged as risks to economic growth. "The prolonged period of low interest rates and volatility has encouraged greater risk-taking, making the financial system more exposed to shifts in market sentiment as monetary policy normalises," it said. The OECD expects the global economy will grow 3.9 per cent in 2018, up 0.2 percentage points from its forecast in November.